Wilfrid Laurier University PhD researcher Brianne Redquest wants health officials to highlight motor skills of autism spectrum disorder. A Wilfrid Laurier University student believes children with autism spectrum disorder (ASD) need therapy that is focused on motor skills as well as their social skills. Brianne Redquest successfully defended her dissertation in this area of study in October, to become the first-ever Wilfrid Laurier University student to earn a PhD in kinesiology. She said most of the therapies currently available focus on social skills. And the majority of parents she interviewed felt the social therapy aspect was more prevalent for their child. "It was less about being able to bounce a ball but more regarding the safety issue," said Redquest. "Parents were concerned [lack of social skills] would make them vulnerable to some sticky situations in the future. Like being taken advantage of or being naive and getting into a bad situation." As part of her study, Redquest put children with and without ASD through a number of physical tests including playing catch. She also asked them to imitate actions she performed. She found, the children with ASD were worse at imitating and had worse motor skills than children without ASD. 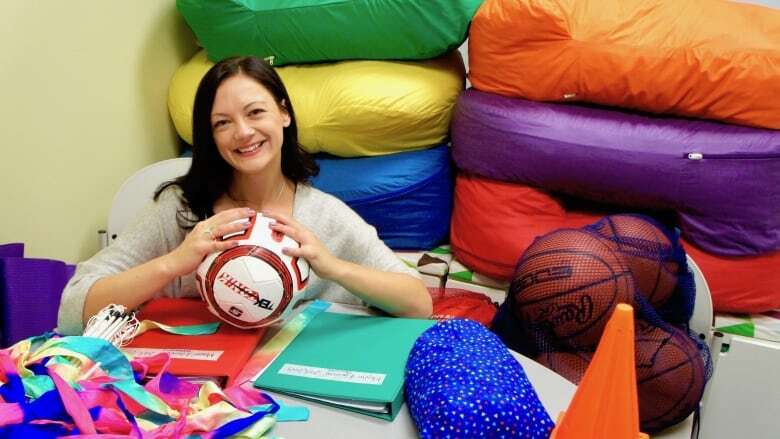 Redquest believes repetition of physical activity could help children in the spectrum. "Often we learn our social skills through motor skills. if we think back to childhood, much of the play we engage with our peers is active," said Redquest. "Going to the playground, playing tag, it's often through these games we learn our social skills. [Not developing motor skills] is actually acting as a barrier to social development as well." Redquest believes the motor deficits of people with autism need to be highlighted by health officials and doctors.